We had a lovely sunny weekend with predictions of falling temperatures and a winter storm today. In between taking advantage of the weather to do yard work and laundry (hung outside), I did a lot of cooking this weekend. A little too much cooking, as by Sunday night I was completely exhausted. Each week after making bread, there is a bit of sourdough sponge left over. Sometimes I just incorporate it into the bread dough and increase the size of the loaf, sometimes I make pancakes, and other times I make a cake. I've been developing the cake recipe week by week, and I'll share once I think its consistently good. Most weeks I've been flavoring it with orange zest, rosewater and cardamom, but this week I had no rosewater or oranges. 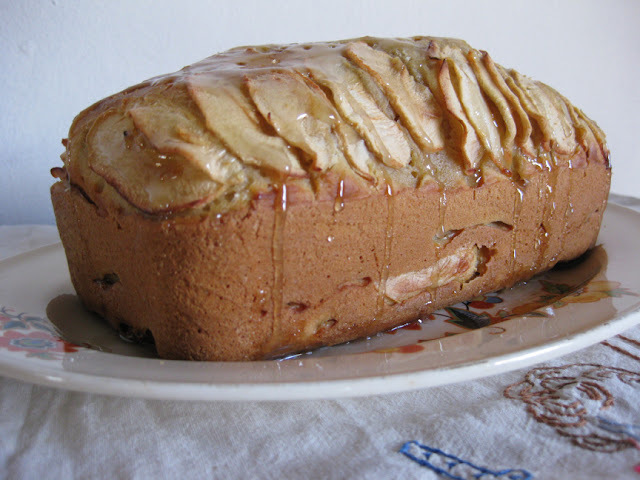 I experimented with apples and a vanilla glaze instead. Its good, but I'm not sure that I really like apples in cake. The sourdough has made for a nicely textured cake each week. Its similar to pound cake, but with very little sugar or fat. Just a third of a cup each. Most of the exhaustive cooking on Sunday was the result of making lasagna the hard way--- with everything from scratch. None of it was hard, it just took forever. (We used this recipe from Deborah Madison's The Greens Cookbook). The noodles, two sauces, and the ricotta. 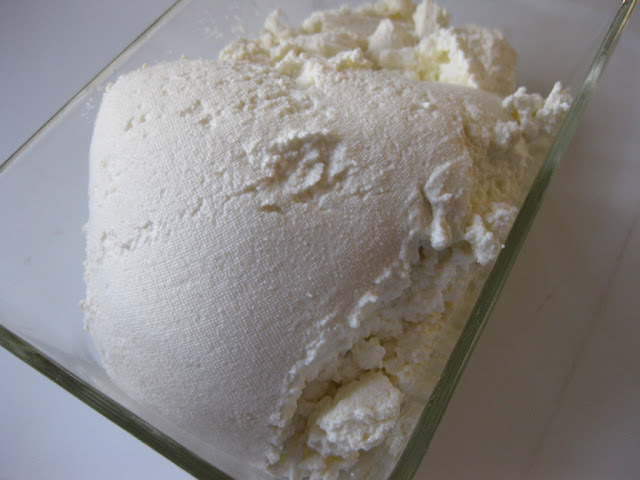 Ricotta is ridiculously easy to make-- one gallon of milk mixed with a teaspoon (or two) of citric acid and a teaspoon of salt, brought to just below boiling at 195° F, at which point curds will start to form. Let it sit in the pan for ten minutes, drain in cheese cloth-- seen above-- and then really drain by tying the cloth into a bag and hanging it for half an hour. Voilá, ricotta, and you can use the whey, the liquid you've drained off for baking later. I like how you can still see the texture of the cheese cloth in the picture above. One gallon of milk resulted in about 2.5-3 cups of ricotta. In between the cooking, I was reading this. 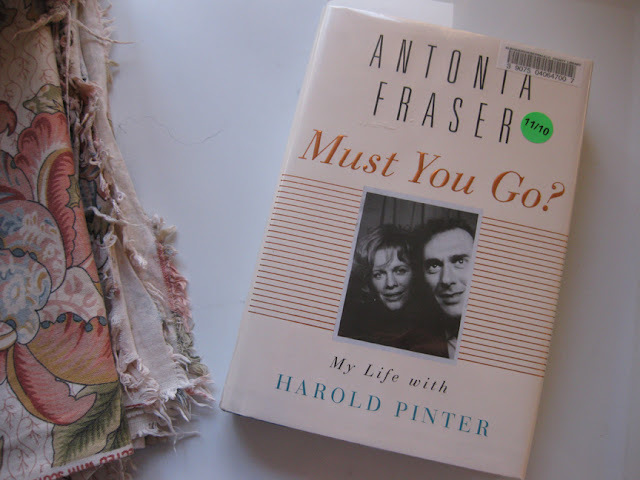 Super romantic story that is almost guaranteed to make you reevaluate the quality of any love letters you've ever received. Todays' men(and women) with, their affinity for the text message, seem sorely lacking. If you like a man (or a woman) who is good with the written word, this book is for you. And, this afternoon, during the gloomy hours, I took advantage of being stuck inside to do a little beauty maintenance. Good-bye grey roots. I started dying my hair in college because I didn't like the way it turned red in the summer. Sigh, if only I could have that hair back. I think naturally auburn hair is awesome now. Especially since you can't achieve it with hair dye without spending a fortune or having it look fake fake fake. Now I can't stop because I have a shocking amount of grey hair. 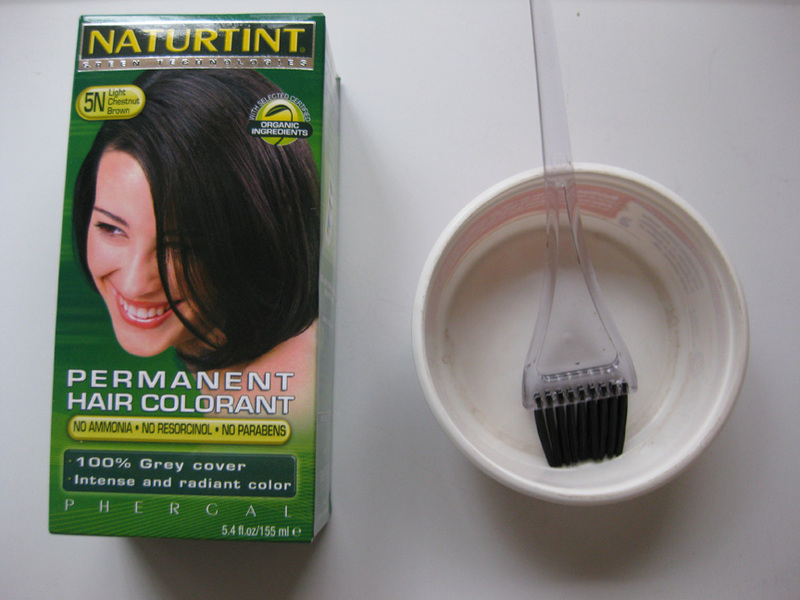 This hair dye is kind of expensive, but its free of a lot of the bad things found in hair dye, an important fact since I'll be continuing to cover that grey for many years to come. 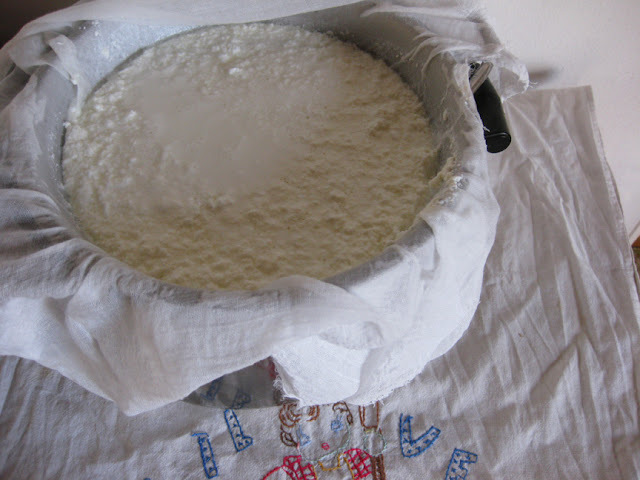 I love that photo of the ricotta! I haven't made cheese since I helped Marjorie prepare the feast for her "Twenty Years as a Vegetarian" dinner party. You may just inspire me! Speaking of hair and chemicals and the things we do, have you seen Good Hair? I totally recommend it - I learned AND laughed, a too-rare combination. Thanks for the reminder about this book. I remember reading an excerpt from it in Vanity Fair and wanted to pick up than duly forgot about it. I'm writing myself a sticky note right now. BTW - have you ever made coeur de creme like ricotta but a dessert. Might be a good one for Feb.14.